Personalized Valentines Day Party Banners and Welcome Signs. Show your love! 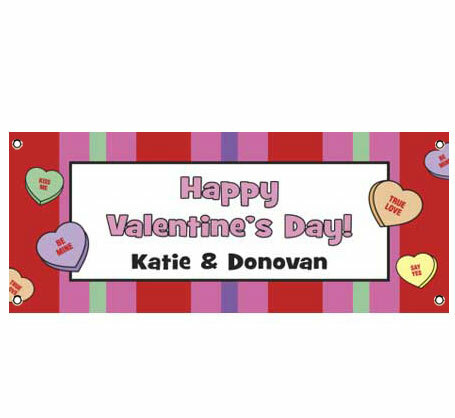 Party411.com can help with these personalized custom valentine's day holiday banners and welcome signs. A colorful Valentine's Day banner for your special day. Celebrate Valentine's Day with these candy hearts! Valentine's Day party decoration for a chocolate tasting party! Make everyone feel welcome, even if love bites! All about the hearts on this Heart Confetti banner.